Want to experience the next evolution in vaporizer design? The Vaporfection viVape Vaporizer is a desktop model that is so extraordinary that it's won awards and been celebrated in countless ViVape reviews online. With the innovations featured in this dry herb vaporizer, enjoying flavorful, potent vapor is simpler than ever. The dual function vape even gives you the freedom to use it as a forced air device with bags or as a whip-style. With many desktop vaporizers, the wait until your unit is ready to vape can seem endless, but with the Vaporfection viVape, you won't have to practice being patient while you wait for your vapor. The desktop vaporizer reaches working temperature in 2 minutes or less, making it one of the fastest devices on the market today. In addition, it is one of the quietest models ever made. Even when it's used in forced air mode, the vaporizer's fan is so soft, that you'll wonder if it's even on! The Vaporfection viVape Vaporizer features Vaporfection's innovative Vapor Sense technology to keep the heating chamber at optimal temperatures. Inside of the vape are multiple temperature sensors and a micro-controller that continuously monitor the heat levels inside of the herbal vaporizer. Whenever the temperature goes above or below your preferred setting, the micro-controller adjusts performance to stabilize the temperature and keep the internal temperature 100 percent accurate. Another feature that separates Vaporfection viVape apart from the competition is it Vapor Glass technology. 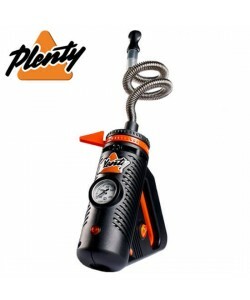 The engineers at Vaporperfection have developed a unique process that allows both the heating element and the chamber to be constructed out of glass. This makes the herb vaporizer exceptionally efficient, and the glass used in the design is laboratory-grade to make the unit as durable as possible. Unlike other desktop vaporizers that feature complicated buttons or imprecise dials, the Vaporfection viVape is controlled with the help of a touch screen. The compact tabletop creation is as simple to use as a tablet or smartphone. There's even an LED light included in the design to let you know when the unit has reached your set working temperature. Great service - Review by Edward M.
I have had a lot of really bad luck when it comes to vape wands. Once before, I attempted to buy a glass wand on one of those big sites. I tried it for a few times and every time I did, something went wrong. I was beginning to think that I might never get a vape wand. One of my friends told me about this site and that they loved it. I called and asked what might happen if my wand came broken and told them what happened to me on the other sites. They assured me that everything would be fine and if it had not been fine that this site would replace it. It put my mind at easy enough to buy it, and I am so glad I did as it came exactly as I hoped it would. I won't be buying another vape or any part for a vape anywhere else ever again. Best prices - Review by Roy R.
I cannot believe all of the options that are offered on this site for vape whips. You guys definitely have all of the best prices and the highest selections that I have ever seen. The one I ended up buying came to be just as advertised. 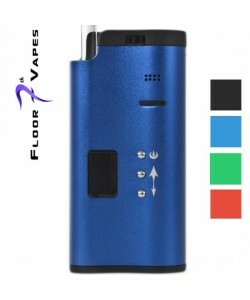 Great options - Review by Vincent P.
I got the Vaporfection viVape around two years ago and it works every bit as good today as it did those years ago. The bag option is really cool. The Vaporfection viVape is made really well and the chamber is built pretty well, too. I love the taste that it gives off and the design that it has--it always gets compliments from my friends. I would recommend it be used with a group of around three and no more or to use it by yourself. The price is pretty good for what it is but it is still a little bit high, in my opinion. Favorite vape - Review by Enid J. The Vaporfection viVape is my all time favorite vape and I have tried a lot of them. It is worth every penny you will spend. The only thing is that the bags only fill properly when the screen is brand new and that is not always feasible. High tech - Review by Clarence A.
I have never used a vape before so it was kind of weird to get used to the Vaporfection viVape. Once I did, though, it was great. I like that there are two options, a bag or a whip. It looks really nice and high tech, and it hits just as well. The vapor is nice and thick and it has an okay flavor. Even with the flavor being low it still is satisfying and the smell is low too which is nice. If you are thinking about getting it then I recommend it. Big clouds - Review by Howard R.
I was used to using a portable vaporizer so this one kind of blew me away when I used it the first time. I prefer to use the whip over the bag but they both get the job done. The chamber is a decent size but it could be bigger. Great vape - Review by Richard N.
When I got the Vaporfection viVape, I was brand new to the world of vaping. Luckily, the Vaporfection viVape is really straightforward and easy to use, so I recommend it to anyone who is interested in getting one. It takes around three minutes to heat up to the right temperature, which is fine by me. The screen does need to be regularly changed out in order for it to work better but other than that it is a really great vape. I think it is pretty easy to clean, too. Clean and thick vapor - Review by Richard C.
The Vaporfection viVape is the best vaporizer on the market in my opinion. The vapor that the Vaporfection viVape gives off is really clean tasting and thick which helps it really be potent in my opinion. The dual delivery methods are also cool. Top quality - Review by Douglas G.
This is one of the best vapes I've ever used. The vapor tastes great and the machine itself feels really well made. Since it is so easy to use, I recommend it to any vaper of any level.